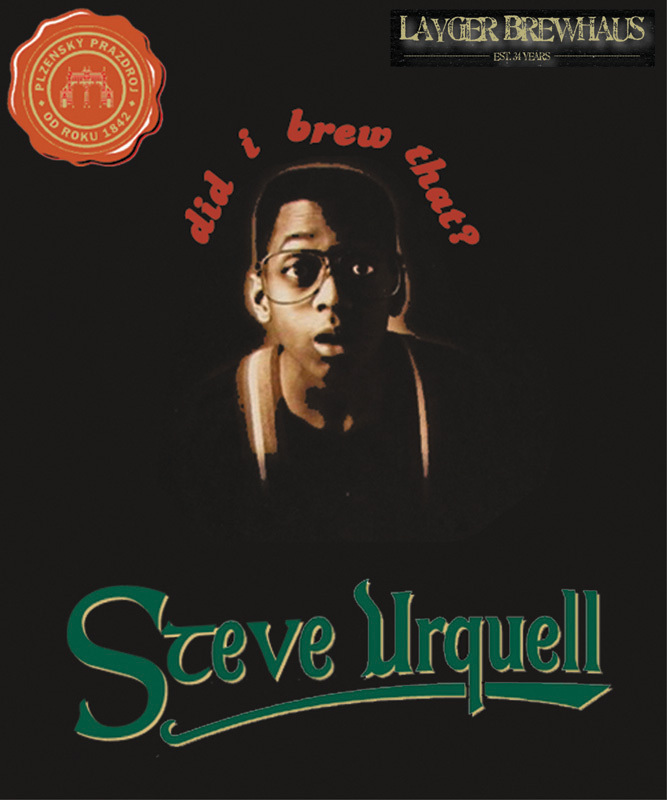 Steve Urquell Pilsner was a lighter beer dating back to early summer 2006. With more color and body than Eastern European pilsners, Steve Urquell stood up the bully days of summer with cool, refreshing flavor. “Very light flavor reminicent of a lightly alcoholic Perrier. It has a minerally aftertaste that is a little long lasting, but I think this beer would stand up well with a fruity flavor. Rasberry, lemon-lime, more acidic fruits would work well.”—Ben W.
total boiling time 35 min. 1. Bring 3 gallons water to boil. 6. ice bath for 30 min.